Shopping for a new Porsche 718? 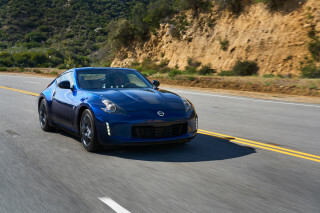 How to choose between coupe or convertible? If you’re looking at a 718 Boxster S or 718 Cayman S, consider the GTS. It bundles performance add-ons at a price that’s awfully compelling. The 2019 Porsche 718 may never be the champion of the automaker’s lineup, but it’s a champ everywhere else. Sunshine is the best remedy for that. This year the 718 stands pat after a 718 GTS was added last year. Both the 718 Boxster and 718 Cayman are available in base, S, and GTS configurations with myriad options available on all. Underneath it all is a thrilling profile of a beautiful two-seater that’s perfected older generations’ softer lines. The 718 is sharp and independent among Porsche models; it has some common traits with the 911, but it’s a better stand-alone model now than it has been before. Unlike the 911, the 718 uses turbo-4 power in all its trim levels. 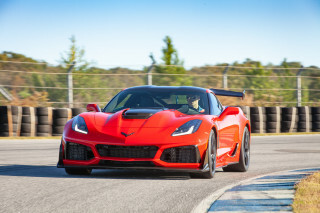 The base engine is a willing 300-horsepower turbocharged flat-4 that pairs to a 6-speed manual or 7-speed dual-clutch automatic. The 718 Boxster S and 718 Cayman S spin out more power from a bigger flat-4, the GTS tops out at 365 hp that sprints up to 60 mph in less than four seconds. The base suspension is ready for any corner we can throw at it, but adaptive dampers give our weekend drives (and driver’s licenses) a firmer workout. Unlike the 911, the 718 only promises accommodations for two. The confines are comfy, but snug, shod in rich materials befitting the car’s entry price of nearly $60,000. Like any Porsche, the 718 can be as rich as buyer’s preferences. A fully loaded 718 GTS can ring the bell at nearly six figures with 20-inch wheels, adaptive suspension, leather sport seats, a sport treatment for its exhaust, and racy exterior trim bits. Base cars are well-equipped with 18-inch wheels, a 7.0-inch touchscreen for infotainment with Bluetooth and USB connectivity, sport seats with leather accents, six-speaker audio, and a power-folding soft top for Boxster models. The 2019 Porsche 718 is beautiful by our standards—or anyone else’s, really. The 2019 Porsche 718 grafts an elegant shape on an evolved powertrain configuration that already has the right proportions. The 911 is an icon, but the 718 is well on its way. The small shape of the car isn’t as jarring as it once was. The softer lines of last generation’s car have been replaced by more immediate and sculpted lines that pronounce its independence. It’s muscular and compact, especially at the rear where curvy lines wrap around a rising tail. 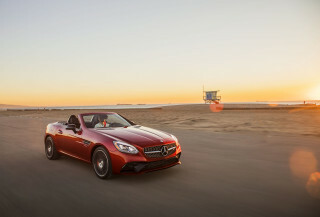 There’s not a bad pick between the convertible and coupe, according to our eyes. Two years away from a redesign, the 718 (especially 718 GTS) is more menacing and sporty now. The available 20-inch wheels fill out the wheel arches in beautiful ways, but even the standard 18s are a good look. The inside wraps leather or other high-quality materials around a bevy of buttons. Compared to the new 911, the 718 is busier and it requires some acclimation to get the right buttons at the right time without taking eyes off the road. Few cars handle and drive as well as the 2019 Porsche 718. On our rating scale, the 2019 718 gets a 10 for performance. Same goes for the 911. How can both cars be perfect? Go drive ‘em. We’ll wait here. Go ahead. Back already? Yeah, both cars are quick. The 718 Boxster and 718 Cayman start with a 2.0-liter turbocharged flat-4 planted midship that makes 300 hp and 280 pound-feet of torque, which is sent to the rear wheels only. A 6-speed manual is available, and a 7-speed dual-clutch automatic is optional. The 718 Boxster S and 718 Cayman S boost that power to 350 hp and 309 lb-ft with a bigger displacement turbo-4. The GTS is the relative king of the hill with 365 hp and 317 lb-ft from its flat-4. 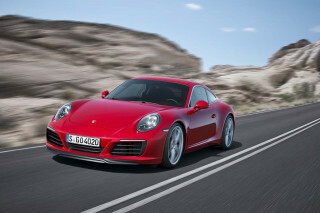 Base cars can spring from 0-60 mph in less than five seconds, the GTS version does the deed in less than four seconds. Outright speed isn’t the only reason to consider S or GTS models: both versions feature trick turbos that cut down on lag and deliver power across fat slices of the rev range, which means better response out of corners. Opting for the automatic transmission won’t be a fun-crusher. The dual-clutch automatic, which Porsche calls “PDK,” is quick and uses virtual ratios between gears to find sweet spots faster. When combined with the optional Sport Chrono package, the PDK and launch control provide thrilling sprints that repeatedly produce wide grins. Ask us how we know. The 6-speed manual combines a positive clutch feel with sharp shifts, too. We’d opt for a manual-equipped 718 all day, it’s one of the few left remaining for sports cars and a high-water mark for automakers. The base suspension is MacPherson struts at all four corners. Opt for adaptive dampers, which are standard on the 718 GTS, and the system toggles among Normal, Sport, and Sport+ modes with increasing firmness. Sport is taut enough for canyon runs, Sport+ is best left for track uses. Half-inch wider 18-inch wheels are shod with 235/35-ZR Pirelli P Zero tires up front and 265/45-ZR on back, on base cars. The 718 Boxster S and Cayman S get 235/40-ZR19s and 265/40-ZR19 Pirelli P Zeros, front and back. Brakes are slightly bigger and thicker than before, but braking performance was never a complaint with the Boxster or Cayman: The pedal feel is superb, the responses immediate. 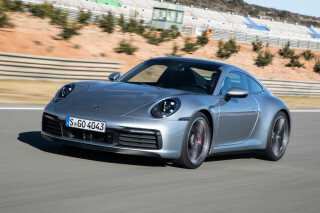 All 718s benefit from Porsche’s excellent steering tuning that uses electric power assist, but also relate the road back to drivers in a way that other automakers haven’t yet figured out. An optional power boost at low speeds makes the 718 even more maneuverable around tight parking lots, too. The 718 Boxster and Cayman impress on quality and comfort for two people who don’t have too much cargo to carry. Most people won’t be confused about the 718’s mission. There are four different seat types available for the 718, from base buckets to grippy sport seats—even plush leather thrones. Each seat is accommodating to most body types, and a tilt and telescoping steering wheel is means T-rex arms like ours can still have fun. The 718’s materials and presentation are excellent. Spending more doesn’t get more; the 718 feels special, even in base configuration. We come back to earth in the small two-seater’s storage—or specifically, lack of storage. The front trunk (aka “frunk”) offers 5.6 cubic feet in both Cayman and Boxster; the rear of the Boxster only offers 4.4 cubes aft of the engine to complement. The Cayman’s a relative utility vehicle compared to the soft-top 718 with 9.6 cubes of available space, enough for a pair of soft-sided bags. The 2019 Porsche 718 lacks official crash-test data. The 2019 Porsche 718 hasn’t been rated by independent or federal crash-safety experts. High-dollar sports cars aren’t typically thrown into walls on purpose. The 718 has the right hardware for an emergency. All roadsters and convertibles are equipped with front, side, and thorax airbags in addition to stability and traction control systems. Forward-collision warnings with automatic emergency braking is available on 718s equipped with optional adaptive cruise control. Blind-spot monitors are available as an option. Predictably, the outward vision in the 718 Boxster is better when the roof is down, but all cars are nimble and afford relatively good views of the road ahead. “Entry-level Porsche” doesn’t mean cheap; the 2019 718 can be as rich as you like. A run through the available options on a 2019 Porsche 718 can be dizzying. The small, two-seat convertible or coupe can add tens of thousands to the bottom line but there’s good news. What comes standard is still impressive—and plenty quick. This year, the 718 Boxster and 718 Cayman cost more than $56,000 to start and the bottom line can swell to more than six figures for more performance and luxury items. 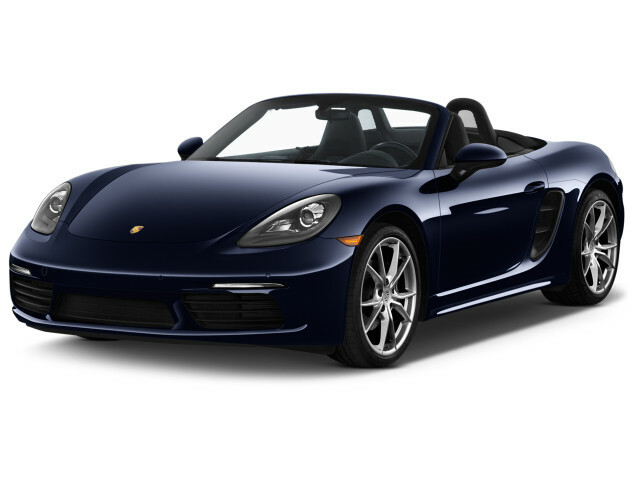 Base cars are well-equipped with 18-inch wheels, a 7.0-inch touchscreen for infotainment with Bluetooth and USB connectivity, sport seats with leather accents, six-speaker audio, and a power-folding soft top for Boxster models. A sport exhaust system is new to all 718 models, although blacked-out exhaust ports are exclusive to 718 GTS versions. Like last year, the 718 is available in three variants that mostly relate to performance: 718, 718 S, and 718 GTS. Boxster S and Cayman S models are similarly equipped to base versions but add 19-inch wheels, uprated audio, and increased performance that includes a steering wheel-mounted sport button. 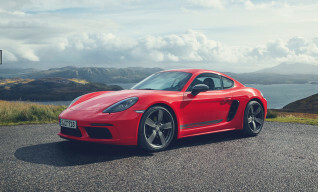 The Boxster GTS and Cayman GTS models go further with 20-inch wheels, synthetic suede or real leather upholstery, active suspension, and a thick-rimmed steering wheel borrowed from the 918 Spyder supercar. From there, the choices can be nearly infinite. Paint-to-match colors inside and out, leather everywhere, and myriad customization options define Porsche—bring an iron stomach. From there, most of the 718’s options are split between luxury or performance. High-end Burmester sound systems, leather and wood (or carbon-fiber) trim accents are all available. Carbon-ceramic brakes, a torque-vectoring rear differential, and upgraded suspensions can be summoned from the options bullpen to close the deal on your new Porsche 718. The 2019 Porsche 718 manages combined mileage in the mid- to low-20s. The 2019 Porsche 718 doesn’t need to be fuel-efficient, but that it’s not terrifically thirsty doesn’t hurt. The most efficient 718 is base cars equipped with an automatic transmission. The EPA rates those cars at 22 mpg city, 29 highway, 25 combined. Opt for a manual transmission (and you should) and those figures dip slightly to 21/28/24 mpg. The 718 Boxster S and 718 Cayman S add more power, but don’t take away much from those numbers. They rate 21/28/24 mpg with an automatic and 20/26/22 mpg with a manual. At the top, the 718 GTS versions rate 20/26/22 mpg with an automatic, 19/25/21 mpg with a manual. Looking for a different year of the Porsche 718?